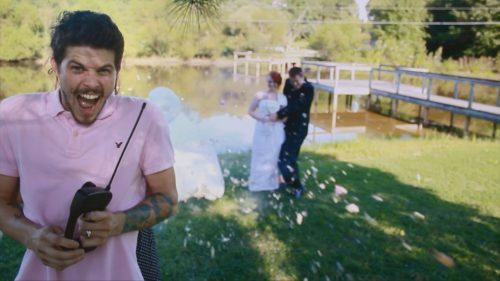 Amazing clips of the most incredible wedding moments ever caught on camera. Wedding Surprises: Caught on Camera shows the best and worst of proposals, ceremonies, receptions and honeymoons. From proposals that don’t go to plan to the best man given a £50,0000 surprise, plus weddings washed away by floods, hurricanes on honeymoons and how a bride’s big day went up in smoke. Premiered and won the 9pm slot on ITV1 on Tuesday 12th July, attracting 2.5m (13.3% share). Wedding Surprises: Caught on Camera shows the best and worst of proposals, ceremonies, receptions and honeymoons. This episode includes the moment the world’s most famous singer turned wedding planner and a pop icon turned wedding crasher. Plus the woman who turned rap star to stun her sister, the vicar who ambushed a fake bride and the scandalous behaviour of British stag do's. 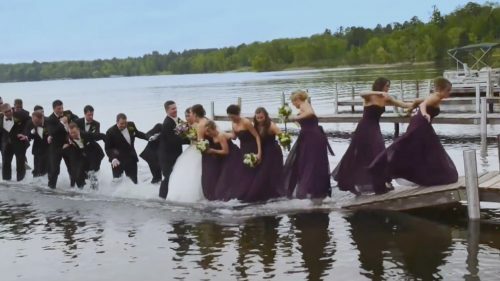 Jaw-dropping clips showing what happens when weddings don’t go as expected. From proposals that don’t go to plan to the best man given a £50,0000 surprise, plus weddings washed away by floods, hurricanes on honeymoons and how a bride’s big day went up in smoke. The programme reveals how the Queen became a wedding crasher – and how a bride gave her groom the surprise of his life at the altar. Tears, laughter and pranks, plus moments when the bride wore white while her face was red – all of it caught on camera.